I just received a beautiful Scared Stiff which was shipped across the country (by STI). It arrived in good condition -- no obvious damage. 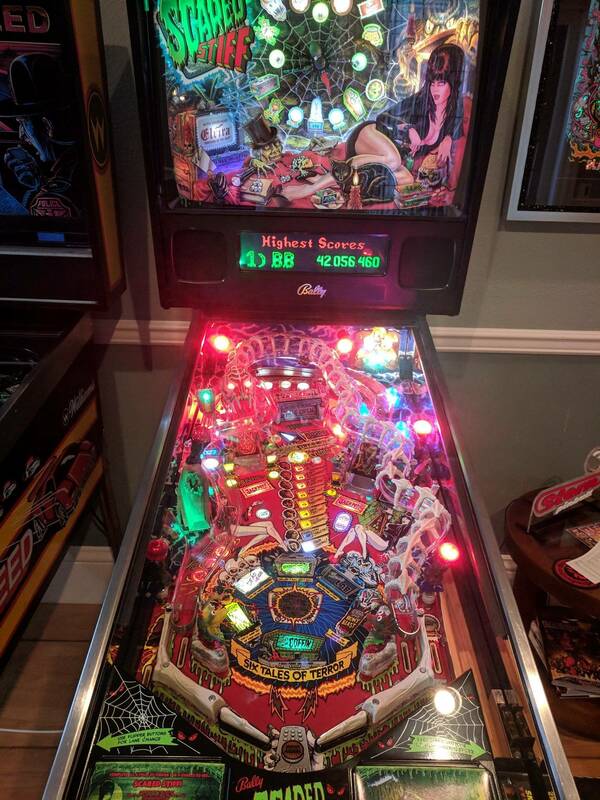 I also know the seller is a well-reviewed Pinsider and that the game was in perfect working order prior to shipping. I set up the machine and it powers on, but there is no power to the playfield -- not to the mechs or to the lights. The Color DMD LCD powers on and runs normally, the backbox is lit and the coin door lights come on. Also, when I hit the start button, the LCD displays a game start screen (ball 1, score 00), but no ball is kicked out of the trough. I am technically and electrically challenged so I am turning to better, more experienced minds... I did make sure all the fuses were in place. Any ideas/help would be appreciated and thanks. Did you check to see if any fuses were blown as well? If you have a DMM - Remove one side of a fuse from holder before testing with meter set to ohms. I did find these two connectors not connected, but the old owner stated those were from the old DMD display and were not supposed to be connected. I don't see anything else that looks disconnected. Ground braid attached from main cabinet to backbox? Any pinched wires? I think those are removed when the colorDMD is installed and normal? Whats the deal with those aligator clips? Turns out all you have to do to have your technical questions INSTANTLY answered -- BY PHONE -- is buy a machine from HEP. Evidently, he's kind of like Pinball Santa -- he knows when you've been posting, he knows when you're in need. He saw my post, called me and now it's working. 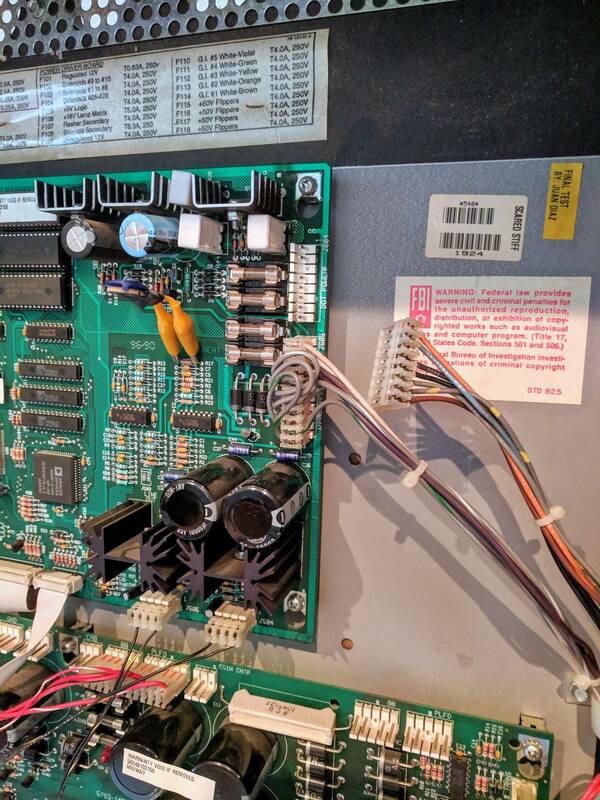 The problem, by the way -- expertly NOT shown in my photos -- was a loose ribbon connector between the driver board and the MPU. Plugged in and we're good to go. Thanks for all the rapid replies -- this community never ceases to amaze me! Awesome! How good did that first game feel after the panic subsided?! 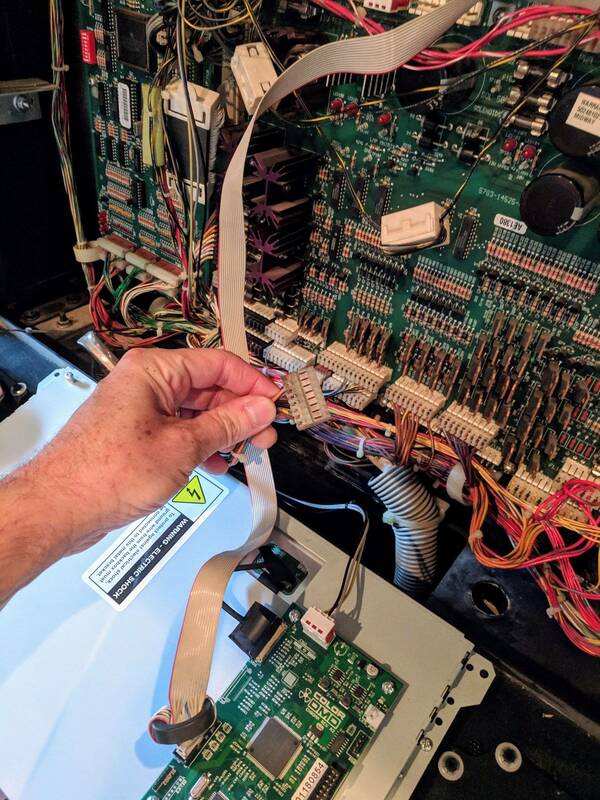 Those tempermental ribbon cables well get ya every once in a while. That's nice. A little creepy; but nice.